... and it's going to stay on the ground. The groundbreaking at Joint Base Pearl Harbor-Hickam of a 77,500-square-foot hangar and operations facility for the Hawaii Air National Guard’s F-22 squadron drew hundreds of people, including the state’s governor and adjutant general. It’s safe to say the 77,500-square-foot facility will probably be pretty dang nice. A drawing on the website of the Honolulu Star-Advertiser shows the new complex surrounded by well-manicured lawns and palm trees. The Raptor is the world’s most advanced air-to-air fighter. Some of the world’s top pilots sit in the F-22’s cockpits. But the Raptor pilots aren’t getting in the air anytime soon. 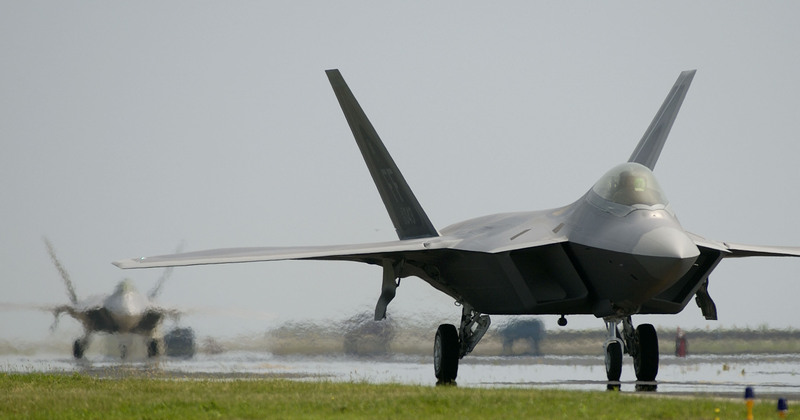 The service grounded the F-22 fleet in May, citing safety concerns. At first, investigators were looking at the oxygen systems — but now carbon monoxide could be the culprit. The Star-Advertiser, meanwhile, wrote the grounding particularly affects the Hawaii pilots because Hickam doesn’t have an F-22 simulator. “So whether these people go back to the mainland somewhere and get into the simulators and then get back into the airplane here is still yet to be determined,” said Maj. Gen. Darryll D.M. Wong, the state adjutant general, according to the newspaper.